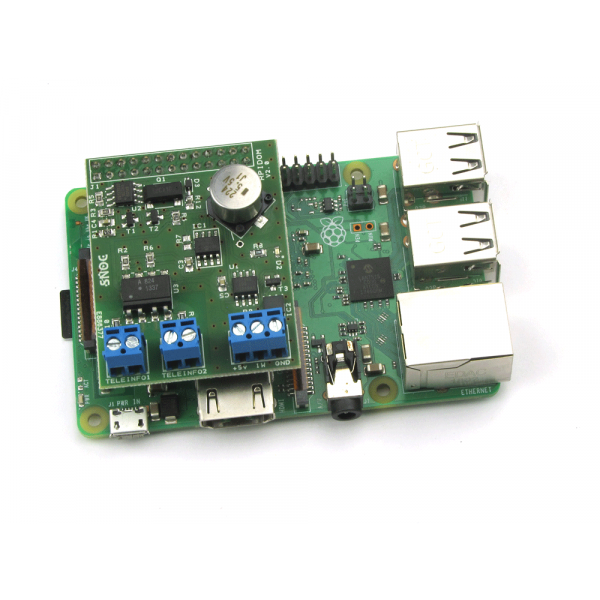 RPIDOM shield for Raspberry Pi dedicated to Teleinformation and home automation. 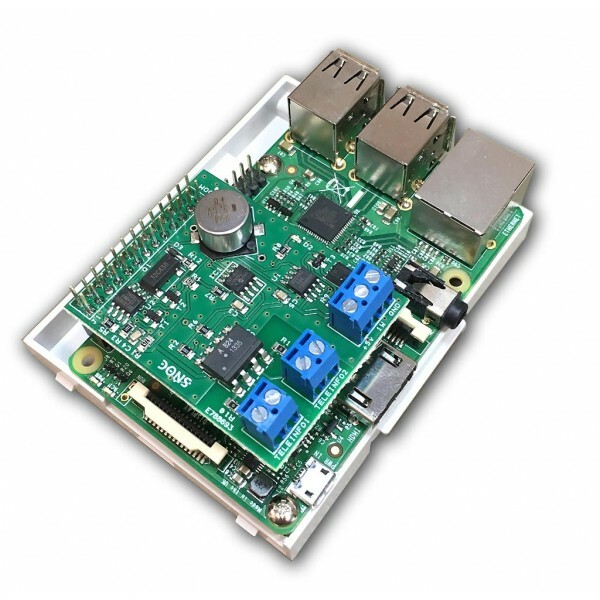 Raspberry Domotics Teleinformation extension card Pi. 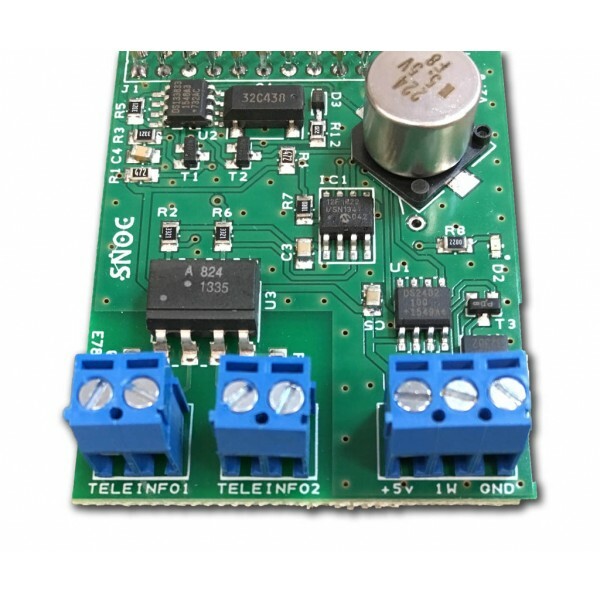 Teleinformation is a protocol used on EDF meters to communicate with energy managers or load shedding systems. 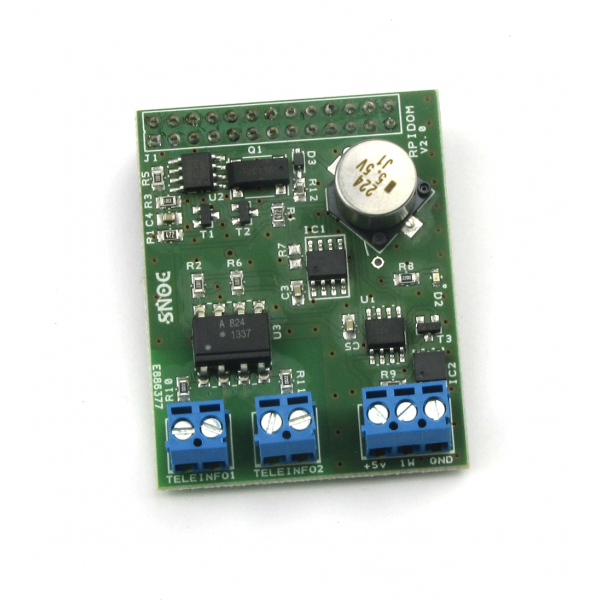 This expansion card (Shield) is mounted on a Raspberry Pi and will allow you through its two teleinformation decoding circuits, read the information of your electricity meters. 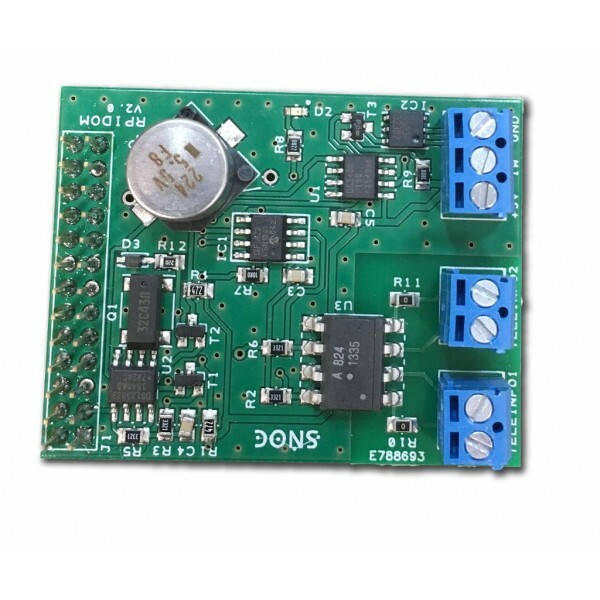 It also allows, thanks to the built-in real-time clock, to date the readings before recording them. 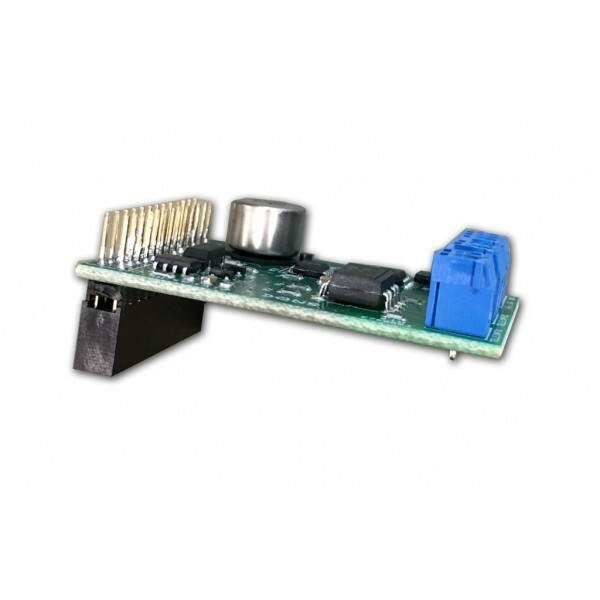 RPIDOM is the ideal expansion card for developing a standalone home automation server, measuring the power consumption of your home and / or production of your photovoltaic system, recording temperatures with the 1-wire bus, etc. You access the teleinfo data via the raspberry Pi serial port and select the counter via a selection command sent to the serial port.